More than 70% of all major accidents in the home occur in the bathroom. 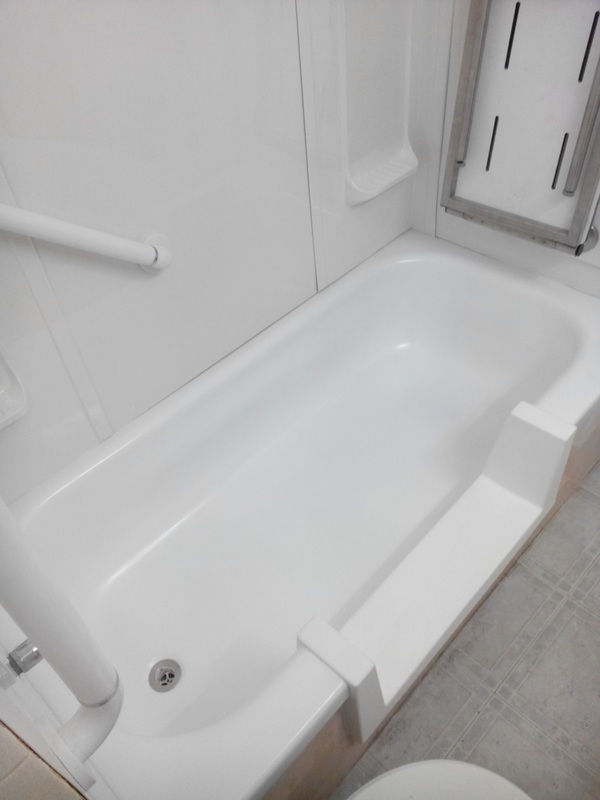 The Trenworks Bathtub Cutting Service is a low cost complete step-in bathtub conversion system (also called a bathtub cutout, bathtub step retrofit, safety bath step, walk-in step or walk-through bathtub aka walk-thru tub) designed to help individuals and seniors with mobility issues maintain a comfortable and safer lifestyle in their home without the huge expense of a major renovation. 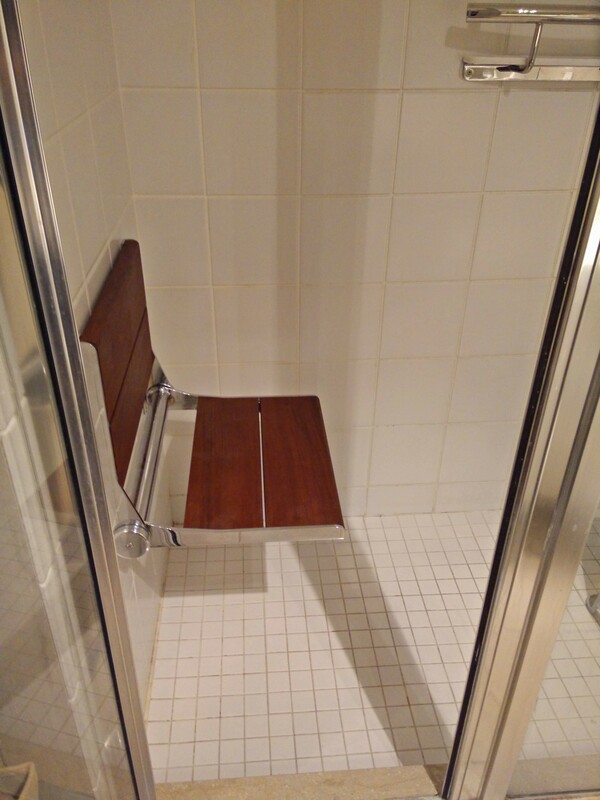 Trenworks is the preferred installer of Accessible Bathtub Shower Conversion Products (proudly made in Canada). 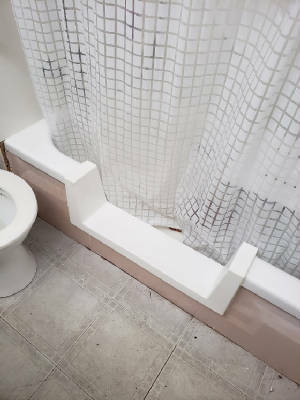 Now save thousands of dollars on bathroom renovation and bathtub replacement costs by converting your existing bathtub to a step-in bathtub with Trenworks professional installation service which usually takes about 2 hours ONLY to complete! Your step-in bathtub can easily transform to a fully functioning bathtub for convenient bathing ANYTIME with the placement of a Bathtub Removable Door in just 2 seconds! 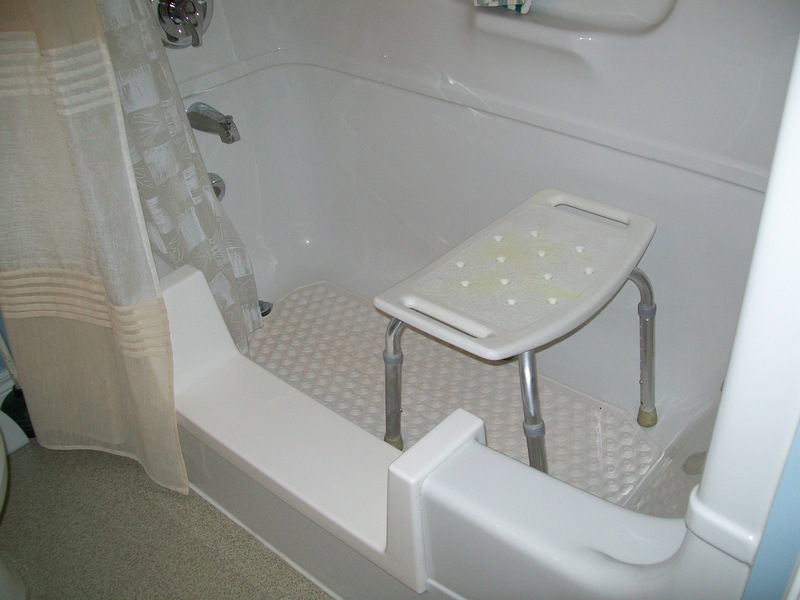 We can also install safety accessories including wall safety grab bars, built-in fold down bathtub shower benches, bathtub anti-slip treatments, raised toilets with safety rails and more. 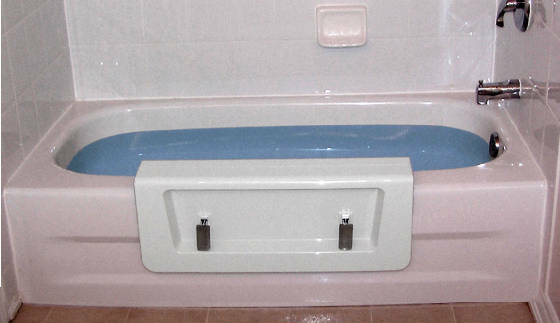 The Step-in Bathtub Conversion System is the most economical, reliable, complete bathtub safety retrofit solution. We also do bathtub conversions for many retirement residences, nursing homes, hotels, private homes including resident owned condominiums and townhouses. 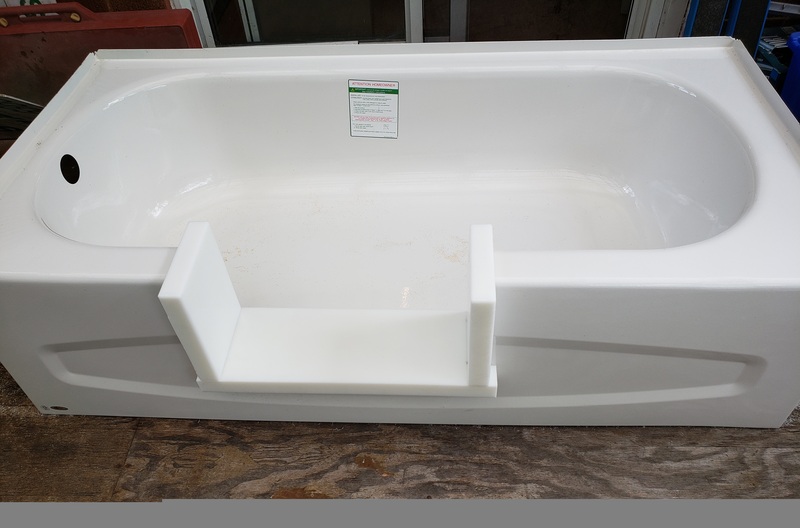 Trenworks bathtub step cutting service with the Removable Tub Door option is the most popular bathtub to shower conversion choice for hundreds of satisfied customers, and soon to be yours, too! 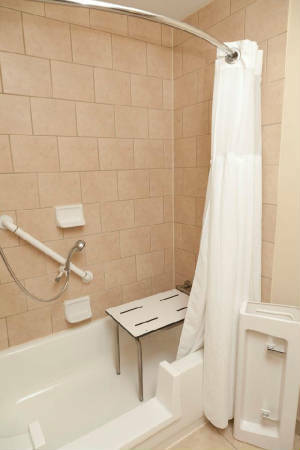 This above example is a bathroom that was safety upgraded with wall grab bars, built-in fold down bathtub shower bench and walk-in bathtub step. 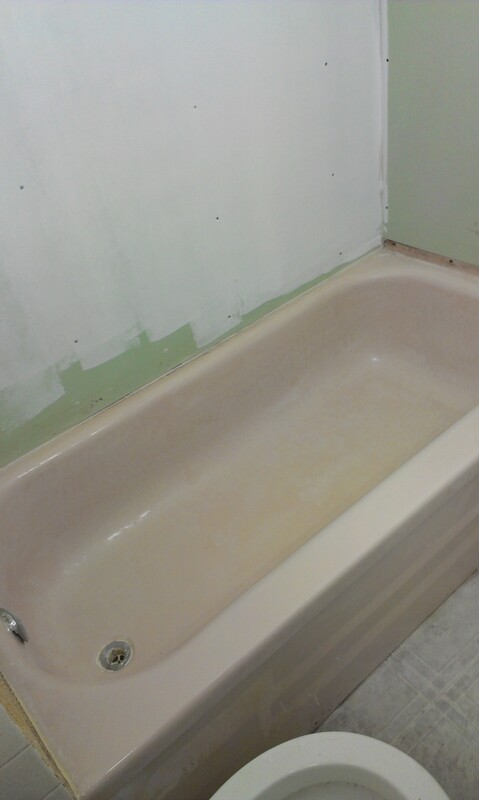 A wall surround was installed and the bathtub was refinished. 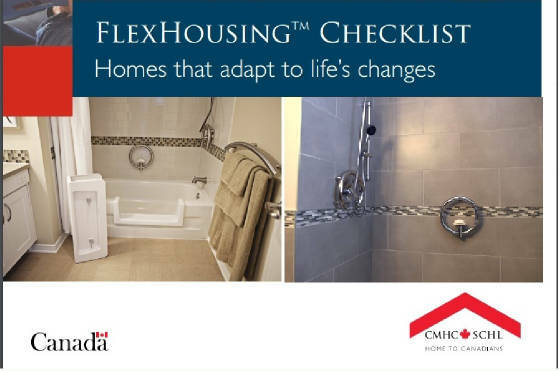 Our Step-in Bathtub Conversion and QuickTubTM Cap, as well as, Safety Grab Bar Products are Approved and Preferred by the Canadian Mortgage and Housing (CMHC) FlexHousingTM Home Safety Requirements. 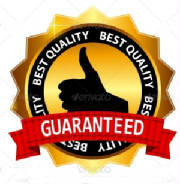 "Trenworks is a top notch professional service and yet able to add that personal touch and connection to make it all seamless with installation and comforting those who need it. 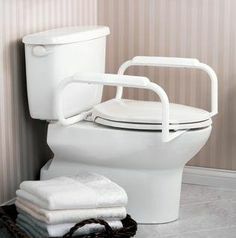 Highly recommended for our aging parents to make their lives easier and yet keep their own dignity and independence at home". Jeff A. "We have hired Trenworks to perform bathtub cutting service for our parents. To say that we were overjoyed with the outcome would be an understatement. Rob came by and executed this task with enthusiasm and excellence within the allotted time frame. We recommend Trenworks to everyone". Robert D.
"I just wanted to take a minute and thank you for the work you did for my grandfather. He had a chance to have a true washing in his tub after a long time of just sponge baths. He was like a little kid, he was so happy! So once again, thank you for your speedy response to help him". Russ K.
"Hello Rob, we are super excited to use our new grab bars! Thank you so much for an excellent job. We were thoroughly impressed with your expertise, attention to detail and passion for your work....it truly shows :) Thanks again....we will definitely refer you to our friends and family". 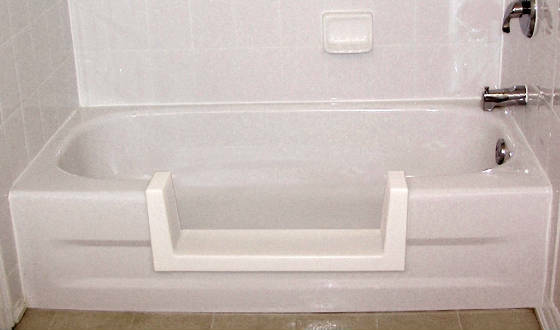 Tina C.
SAVE $100 Off Removable Bathtub Step Door Today! 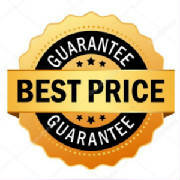 Serving Central Ontario, Canada including the Greater Toronto Area GTA, Burlington, Oakville, Mississauga, Peel Region, Brampton, Barrie, North York, Woodbridge, Thornhill, Vaughan, Richmond Hill, Aurora, Scarborough, Newmarket, Markham, Durham Region, Oshawa, Pickering, Ajax, Oshawa, Whitby, Clarington, Bowmanville, Newcastle, Wilmot Creek, Cobourg, Port Hope, Colborne, Peterborough, Belleville, Trenton, and surrounding areas. Copyright © 2004-2019 Trenworks.com, MyGrabBar.ca, BathCutter.ca & PaveMax.ca. All rights reserved.